Home » Product Information » What Types of Roof Vents Are You Looking For? FAMCO has been committed to providing the highest quality HVAC and roofing solutions for close to three decades! If you are looking for options in roof vents, look no further. 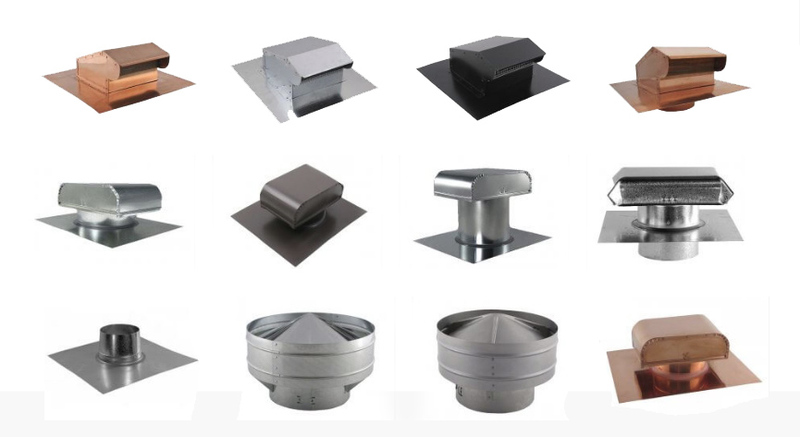 You can easily browse our options for roof vent bases, attic ventilation, piped exhaust vent, and commercial vents. With so many top quality options in one place, you will not have to search elsewhere! Whether you are remodeling your home or are performing a first time build, the final product will only be as good as the materials used in construction. FAMCO is a trusted supplier that boasts a plentiful selection of roof vents that will work perfectly in your kitchen, bathroom, attic, and other rooms where proper ventilation is especially important. While most home repairs and construction projects can pose a significant financial burden, FAMCO boasts some of the lowest prices in the business, without having to compromise quality by using inferior materials. FAMCO offers galvanized and painted steel roof vents, including stainless steel, copper, and aluminum, which tend to be the most popular. Customers can choose roofing materials according to their specifications of vent type, finish, color, thickness, shape, and dimensions needed for their project. Neglecting to pay attention to the quality of airflow in your home or office can have devastating effects. With FAMCO’s roof vents and other high quality products, you do not have to give it a second thought. Standing by the quality and longevity of our product, FAMCO products include a 1-year warranty. We are standing by to answer any questions customers may have regarding how to find the most secure fit. Ventilation for residential, commercial, and industrial applications is our specialty. Whether you are a seasoned contractor or new to the game, you are sure to be impressed by the types of roof vents included in our inventory. For the highest workmanship and quality, look no further than FAMCO.